I hope you all had a wonderful holiday, whatever you celebrated. I hope you had some time to spend with friends and family and most importantly, got to relax. It is always a busy time of year, and like a lot of people, I took time off from work, to stay home with my kids for the holidays. And aside from the usual, I had plans. And I hardly made a dent in the list of things I wanted to do. I’ll write about those in the posts to come. So, I am jumping back in! I have quite a few ideas for some songs for my Music Monday posts, but I’m going to start with this one, from the movie Frozen. We took the kids last weekend to see it, and while my husband thought it was too much like a musical, my girls and I LOVED it. This was a great story, and yes, I know it is an adaptation of the The Snow Queen, which I can honestly say that I don’t think I ever read that fairy tale. (gasp!) So I went in only knowing that Ana and Elsa were sisters, and figured that one turns evil and one is good. Oh, and there’s a goofy little snowman and a reindeer that acts like a puppy. I also knew that Idina Menzel was the voice of one of the characters. But that’s all I knew. Menzel is one of the many reasons that I loved (and still love) the musical Rent. Her voice is amazing. She can make the hair on the back of your neck stand up when she sings, and bring tears to your eyes. This movie was not only beautiful, visually, but the songs were breathtaking. We didn’t even see it in 3D! The love between the sisters pulled at my heartstrings. Ana is the more outgoing one. The leaps before she looks kind-of-girl. Only wanting to find a connection with her sister, Elsa, who understands that the power she has to create snow and ice is dangerous to everyone. Elsa spends most of the movie trying to control her powers and hide who she really is. After releasing an eternal winter on her kingdom, she runs away to the mountains and let’s all those years of pent up energy out and creates the most spectacular ice palace ever. Throw in a mountain man, a reindeer, an enchanted silly little snowman and a gold-digging wannabe prince, and you have the makings of a funny, engaging, witty and enlighting movie. Did I mention that the visual effects are stunning? 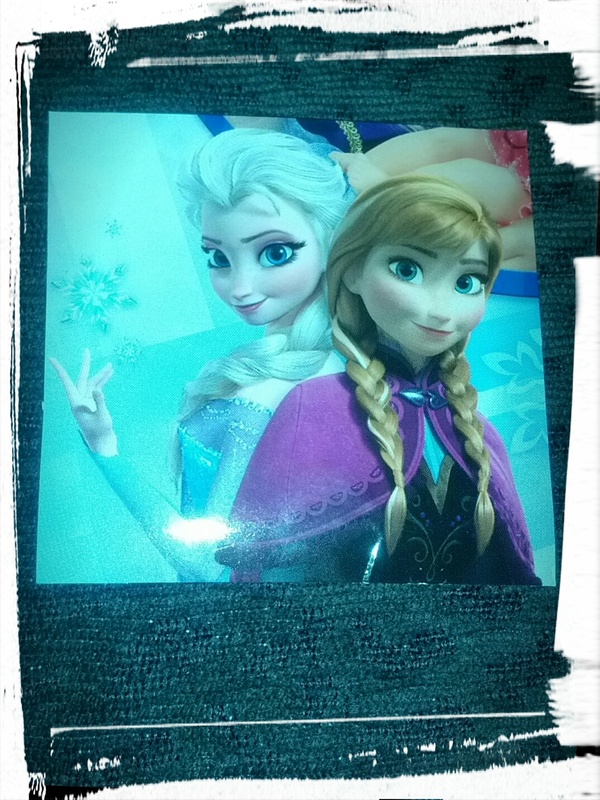 In honour of true sisterly love, today’s Music Monday post is Let it Go by Idina Menzel. I would also like to say that I know Demi Lovato cut this track also, however (no disrespect to her), but you NEED to listen to it as sung by Menzel. So happy Monday! And if you are in Southern Ontario and experiencing your own world of Frozen outside your window, please be safe and stay warm! Don’t let them in, don’t let them see. Be the good girl you always have to be. Conceal don’t feel, don’t let them know. It’s funny how some distance, makes everything seem small. No right, no wrong, no rules for me. I’m free! Interestingly enough it was “Let It Go” that enabled the creative team to crack the story. In the original fairy tale the Snow Queen is the villain, and that was the plan for Frozen as well, but they realized this worked better as a song of empowerment rather than a descent into evil and Elsa’s character was changed to be misunderstood instead. Not often that we get to see a strong story about a bond between sisters and the movie is all the richer for it. I couldn’t agree more. That song nearly brought tears to my eyes, it was perfect. And I have to say that I was so happy it didn’t turn into a good vs. evil theme. It was an amazing story. Between Brave and Frozen, Disney has gained a new fan with me for sure! Yeah, the mermaid wants to give up everything that is unique and special about herself for a guy she barely knows. GREAT message. Always wondered what happened the morning after when she realized he snored and they didn’t like the same movies. As I said in my own piece about Frozen, I love that (SPOILER) Elsa doesn’t have to give up her magic and her unique qualities to be accepted in the end. Ha! Somehow they must have not thought of that. Just the fact that she wants to be something she should never be, pisses me off every time I watch it (which is often, sadly). I agree. I loved Elsa. I loved all the characters. What a great movie!